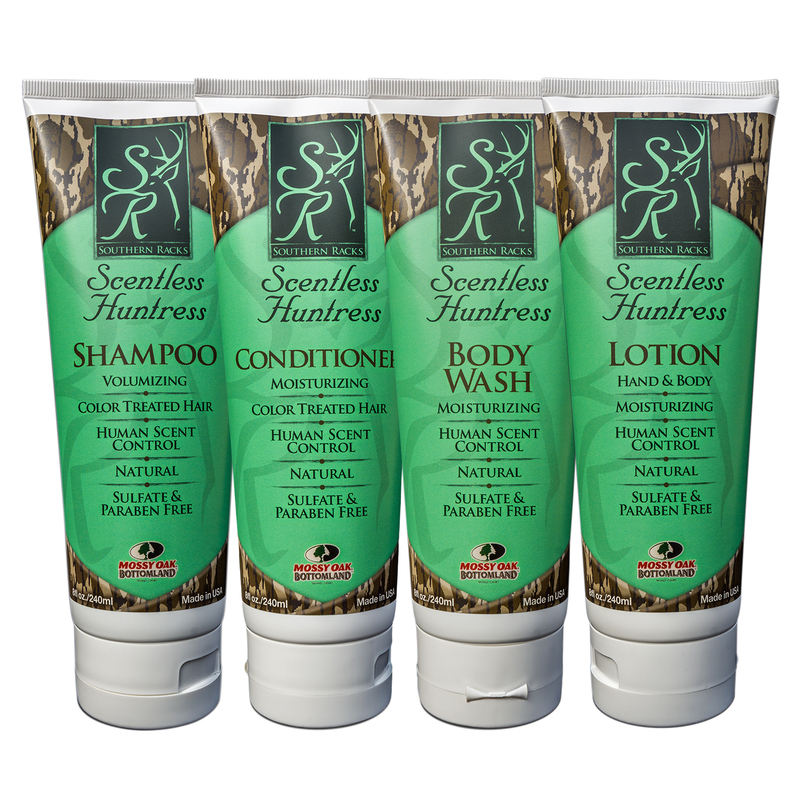 Professionally designed for women hunters, our Scentless Huntress Moisturizing Conditioner is a natural, scent-free, moisturizing conditioner that improves body and texture, strengthens while soothing hair and scalp, and prevents moisture loss. 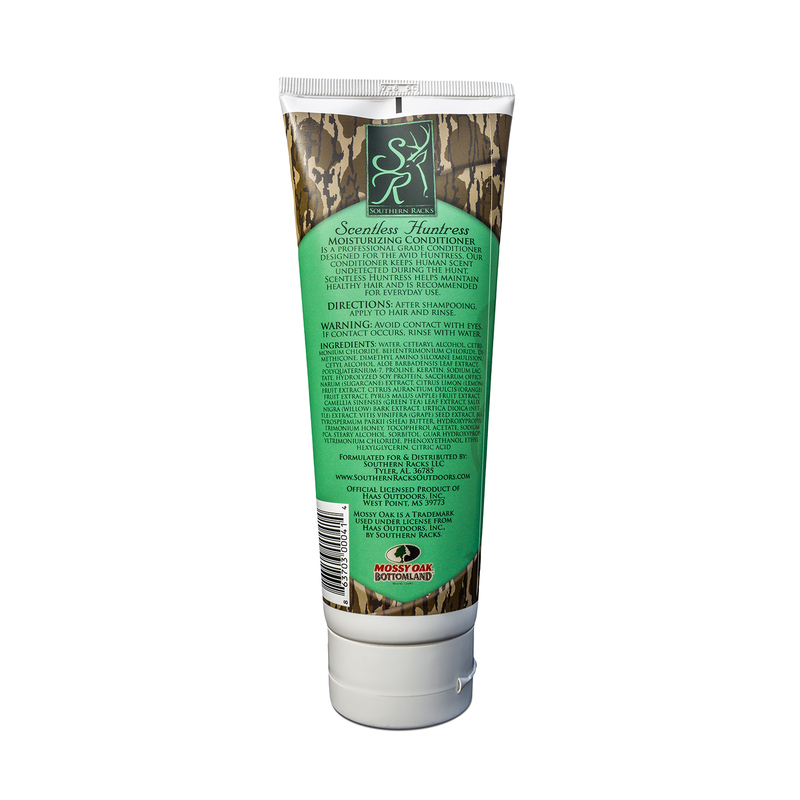 Professionally designed for women hunters, our Scentless Huntress Moisturizing Conditioner is a natural, scent-free, moisturizing conditioner that improves body and texture, strengthens while soothing hair and scalp, and prevents moisture loss. 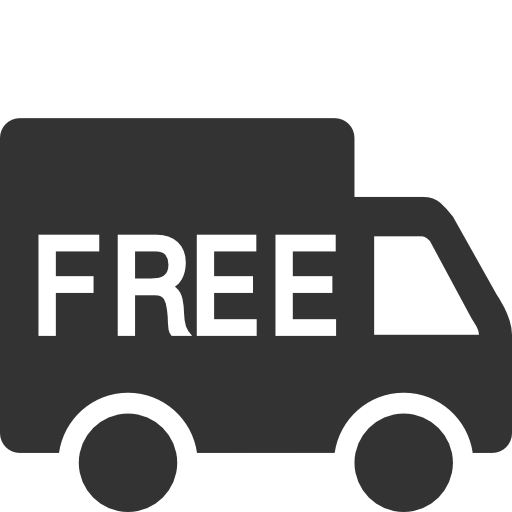 Sulfate free and paraben free, our moisturizing conditioner is also color safe for color treated hair. 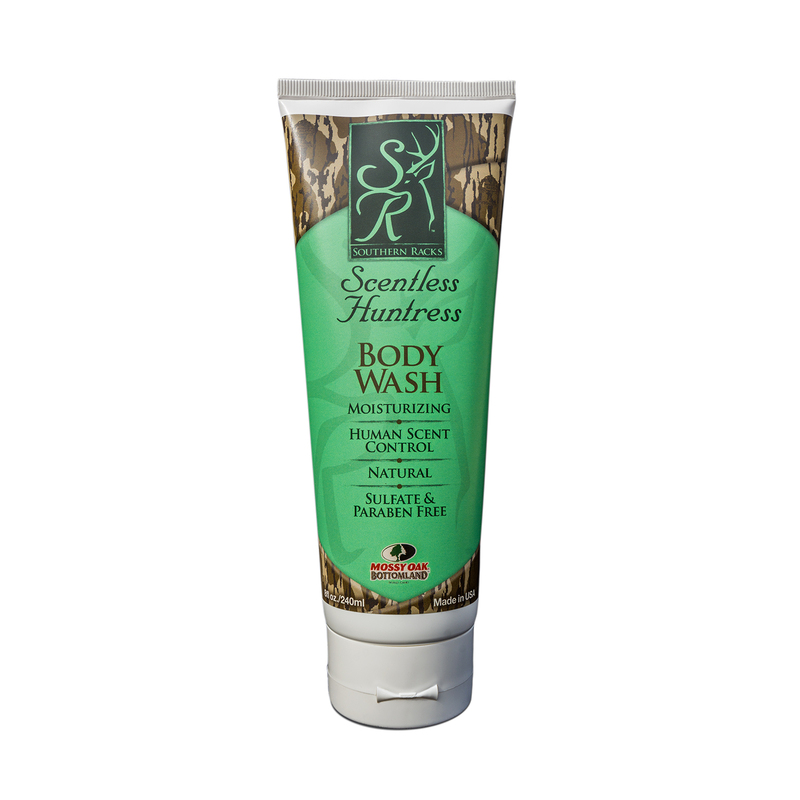 Give yourself the scent-free advantage for this hunting season. 8fl oz. Directions: After shampooing, apply to hair and rinse. Warning: Avoid contact with eyes. If contact occurs, rinse with water. AAAAAMazing!! 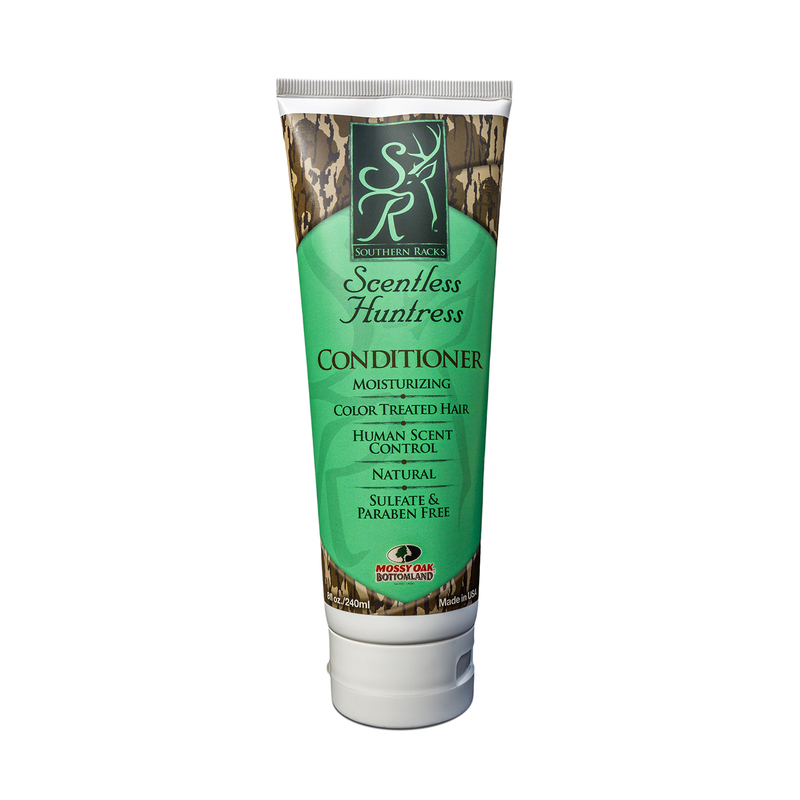 So glad I found this conditioner! It works!! !